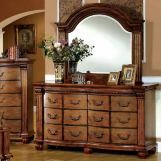 Let this luxurious masterpiece Bellagrand bedroom set the tone for romance! 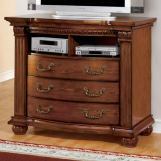 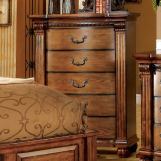 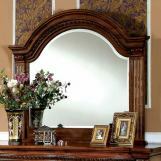 Elegant carving, curved headboard, and antique gold hardware accent the warm tones of the antique tobacco oak finish. 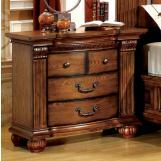 French dovetail drawers, some with felt lining add functionality to this sophisticated and beautiful bedroom suite.